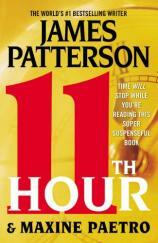 THE 11th HOUR by James Patterson and Maxine Paetro may be the best Women’s Murder Club novel to date. The four long-time friends --- Lindsay Boxer, a San Francisco homicide investigator; Dr. Claire Washburn, an SFPD medical examiner; Cindy Thomas, a newspaper reporter; and prosecuting attorney Yuki Castellano --- bring their different, overlapping and occasionally conflicting disciplines together to solve crimes. The result is part police procedural, part detective, part murder mystery, and yes, part romance. 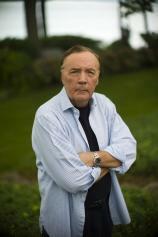 "THE 11th HOUR by James Patterson and Maxine Paetro may be the best Women’s Murder Club novel to date.... So what makes [this one] my favorite in the series? It would have to be the mystery elements." So what makes THE 11th HOUR my favorite in the series? It would have to be the mystery elements. The book begins with a cold-blooded killing at a school during a music recital. The killer, known as Revenge, has been targeting drug dealers throughout San Francisco, seemingly killing with impunity. Boxer, who with husband Joe Molinari is pregnant with their first child, is experiencing the ups and downs of pre-natal motherhood when she is assigned to the case. The Revenge killings are barely on Boxer’s radar before she and partner Rich Conklin answer a 911 call. A horrifying tableau awaits them: two heads have been arranged in the garden of a house belonging to one of San Francisco’s most famous residents. Boxer’s boss wants her working full time on the Revenge murders for two very important reasons: he suspects that the murderer is a cop, and Revenge’s latest victim is a cop, too, working undercover in the drug trade. But Boxer doesn’t want to let go of the head case. And when more heads turn up in the garden, a forensic investigation courtesy of Dr. Washburn indicates that the decapitation and burial have been occurring for quite a while. Thus Boxer has two very different --- and very separate --- cases, both of which are totally unrelated. She acquires quite a list of suspects in the Revenge murders, and one of the names on the list is her former partner’s. As far as the buried head case is concerned, Boxer and Conklin use good old-fashioned police work, including knocking on and down doors --- literally --- to get the answers they need. By the time the book ends, they’ve found a very insane murderer, and one who, when all things are considered, is quite sympathetic. None of this sounds very romantic, does it? If you’re looking for romance, THE 11th HOUR has that as well. Castellano is dating Boxer’s boss, and Thomas is seeing Boxer’s partner. And Boxer’s husband? Well, let’s just say that he gets in the biggest trouble that a husband can get into. Oh, and another thing: You never know with a Women’s Murder Club book if everyone is going to make it to the end intact. People get hurt in this one, though it’s nothing to lose your head over.